Ha!! It appears that I'm a goof and that my post posted after all. It just pretended to be psycho. Here is the lighthouse - bright against the Ultramarine sky. Speaking of which I hope I get around to do some more painting someday. I seem to be a victem of frequent posting disasters with blogger. Today, I even remembered to copy the text before pressing publish - only to lose both the post and the text I thought I copied. This is about the 3rd time since I last posted that this has happened, and a large part of the reason that I haven't posted much this week. My apologies. The picture above was taken at St. Martin's in New Brunswick. There is a really cool lighthouse marking a rocky island off shore of steep cliffs. We drove Gabe's dad down there on a beautiful sunny day and ended up visiting the SJ campus of UNB. It was great fun. The SJ campus isn't nearly as nice as the Fredericton though - the view was amazing though. I'm going to copy and paste the above text into word, so that eventually I'll get this post up. Then hopefully I'll post up a few more pictures from our trip. Storm Pond: Why can't humans accept reponsibility for their actions!!! This opinion letter posted in the star is of the exact type to make me see sparks. "I cannot imagine a worse idea in a development than to actually authorize and build a pit to hold dirty, slimy, runoff water whose supposed use (to divert water from the sewer system) is far overshadowed by its danger." Shall we fence natural streams and lakes too? Should we dump street run off contaminated by chemicals we use on our suburban lawns, deposited by our vehicles or otherwise exacerbated by our own inability to take care of our planet into natural waterways untreated or slowed? Shall we raise our children to believe that everyone but they are responsible for their safety?
" A tragedy that could have been averted? Of course. Most will say the boys should not have gone on the pond. But the real answer is that these "water retention ponds" are nothing more than big holes in the ground used for street run-off in new developments. There should be a public outcry against these "ponds" because of their danger to public safety. In most cases, there is little or no fencing around them. Not only is there this imminent danger of death by drowning, but the ponds, ie. septic pools, represent a danger for the breeding of rodents and insects — many have no movement of the water." Actually, that would just be the rest of Gary Crosbie's letter to the editor. I'm sure I've said it before, but their is a cost to this attitude that the world should be perfectly safe and if not, then someone should be sued. The cost is the enjoy of choice to take calculated risks, the cost of reducing risks to as close to zero as you can get and the cult of the victemhood that cripples our society with a sense that its someone elses responsibility to take care of you. The cost of fencing every storm water pond in Ontario is not just the cost of fence, which would perhaps keep people from being casually stupid, but not prevent a determined individual from doing the same, but the loss of those precious quasi wild spaces allowed to us in the suburbs. Here is Guelph most ponds are fenced, but it mostly makes them eye sores, when they could otherwise enhance the landscape. I would argue that people need natural viewscapes to satisfy some part of their soul and maintain sanity in a concrete world. Lets not kid ourselves, the cost of managing storm water in another manner is not small either. 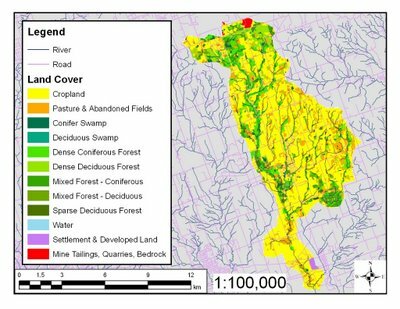 The choices would be expensive subsurface infiltration basins, simply polluting and flooding natural waterways (also increasing the risk of drowning in a raging streams), or handling all of that water in our sewage treatment plants. Increasing the capacity of our storm sewers to handle that kind of flooding would result in a noticeable increase in your municipal taxes too. An further article in the star explaining the purpose of storm sewers in lay terms is found at this link. I feel great sadness that a child drowned, however, I don't think anyone should be pinning blame on municipalities. This is a tradgedy and the blame should lie on the choices that a 15 year old and 11 year old made. Children should be taught to use common sense, the more you childproof the entire world, the less they learn to be responsible and becoming an adult won't cure that deficiency. If we want to have kids grow up to be responsible, then we need to talk to them and educate them and expect them to be responsible. P.P.S Blogger has once again done strange things to my post and I suppose I should count myself lucky that its only deleted a small part of it and screwed up the links. I can't seem to fix it, so please excuse the errors. Another short blog as I frantically cram open channel hydraulics into my head for my exam about 24 hours from now. For those of you who do not read my MSN blog (generally a few lines and a pointer to this blog (because that is where the action is at.) I'll republish a short poem I wrote off the cuff the other day. As I sip away at my bitter, somewhat burnt Tim Horton's coffee, I find myself wondering at the world and the kind of place my kids will be living in (should I ever get around to having any). Despite these worries, there is a peace to studying for an exam - its something I know who to do, and there is a rhythem to the numbers and problems and set up. Hopefully soon, I'll be able to spend more time doing stuff other than school soon, well, at least a bit over christmas and maybe by February I'll be able to get a bit of cross country skiing in or hike if there isn't any snow and visit all the people I haven't gotten to yet. P.S. I'm still working on the colour scheme and I've been told more than once that switching the frames from left to right was questionable. Watch for updates, but probably not for a week or two. If you are a regular, you'll note some significant changes to the colour scheme and layout of this blog. Its been an interesting process to get the colours right, since I didn't have a reference palette - so the colours were hit or miss. I think I got them sorted out though. 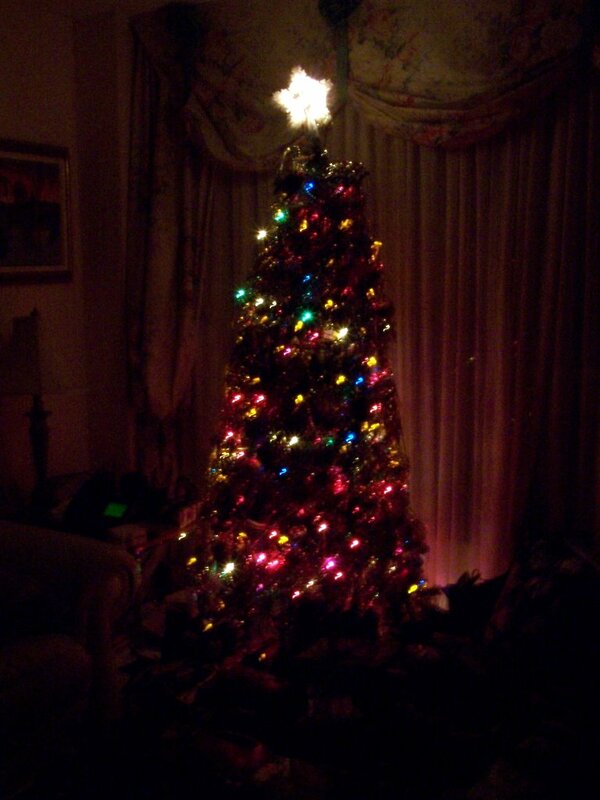 - Are the colours hideous? 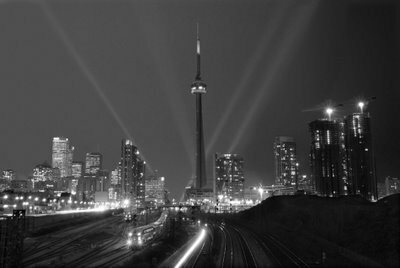 - Am I missing links to anyone's blog? - Does it look weird? - Is the print hard to read? - Does it fit on your screen? - Do I have any attrocious spelling errors in the template? I am celebrating my 5oooth hit today! Although, I'm definately guilty of causing the counter to shoot past that milestone while trying to preview changes to the blog. I still have a few little things to work on. I'd like to add a picture of a pitcher plan in the header and maybe something permenent on the side or a personalized footer. However, I think it'll do for now. As mentioned below, as the location of a large international display of nativity scene, St. Joseph's Orotory in Montreal was fun to visit. Figured I aught to put up a picture of the cathedral, given that I'd mentioned it. I know I'm guilty of reusing this picture at least once before. I'll admit that this batch is one of my favourites - thus the repeat use. It seems to be doing something between snowing and raining right now. I can see flakes, but I hear something that sounds like freezing rain on the front window. I'm still hoping for a good ski year. Other than that. I'm reading papers today, trying to finish up some parts of my Ecological Flow Assessment course and prepare to write my first academic paper. (:D) Its going to be a busy month - so much for Christmas. I'm going to be exhausted!! But the harder I work now, the sooner I finish my masters and get a real job. The ballots are counted and the votes are in, and Dion has topped Ignatieff. Already, people are worried that he doesn't have what it takes to beat Stephan Harper. But, I figure it it is worth waiting to judge until we've seen what he can do. What he said about the party needing Rae gives me hope that he'll use the skills of other other candidates to sell the liberal party. As politicians go, these 8 were uncharacteristically admirable. Most were well educated and expressed a love of our country unequalled my many. Hopefully people will look, not just at the leader, but at the array of other talented people who will also be shaping policy with in the party. 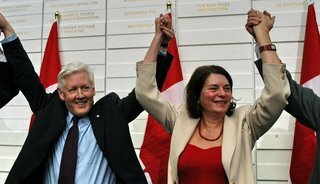 I hope that Bob Rae runs, echoing Dion's sentiment, Canada needs his integrity, experience and spirit to get our "Canada Back". The third ballot left Rae in third place and the position of being dropped from the final ballot. Voting on the 4th ballot has started as Rae's delegates, set free to follow their conscience are splitting between Dion and Ignatieff. Rae chose not to endorse either, but to allow the final ballot to proceed democratically. 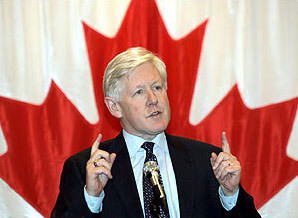 Bob Rae photo from the Bob Rae website. Well, we are anxiously waiting for the 2nd ballot results of the liberal leadership. I think the thing I find outstanding about this convention is that it has been a clean race, no slagging, no dirt. I have the sense that they will work together regardless of who wins. I'm still hoping on Rae's behalf, but I'm pleased that Dion is doing well also. Rae gained about 160 votes, Ignatieff 70, Dion 130 and Keneddy about 30. While, the race in still undecided. I think Dion may have the best chance, while Rae is still a likely second. I'll update again after the 3rd ballot. BTW. 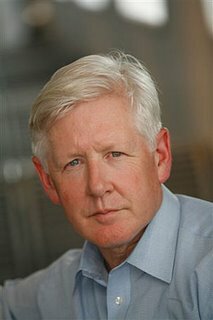 The picture of Bob Rae is from his website. So the crunch continues - but I hope one day to make it back to Rattlesnake or another conservation area to do a bit of hiking. I think Kelso or Mountsburg is next on my list. Mountsburg is faily close to Guelph and I haven't been to Kelso in years. That said, Rattlesnake is my favourite and Hilton Falls is nice in the winter. Actually - Its been a while since I've visited Terra Cotta. But some of the CVC parks are nice as are Glen Haffy and co. in Vaughn. But no hiking for me. Not until I get to NB. Then its Fundy Hiking Time. Okay.. I'd better get back to reading about ecological flow assessment.